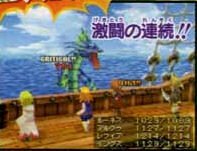 I ran across some tiny screenshots for Final Fantasy III on the Nintendo DS. Looks like they basically remade it, updating the graphics and making it more new. Will the story be the same? I assuming so, or at least most of it. Either way, I just want to know if or when it's coming stateside.